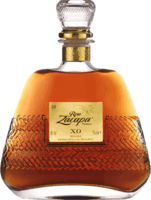 “I first became interested in rum while visiting Puerto Rico. The original rum that got my attention was "Bacardi Reserva" back in 2003. It was $20. on the island then and isn't currently available in my area. At the time it was the smoothest and sweetest straight alcohol I'd ever had. From there I moved into Bacardi 8 Year, Don Q Añejo, and Ron del Barrilito 3 star. I was hooked on exploring rums ever since. After a trip to Barbados, Mt. Gay Eclipse became my go-to rum for years, now MGXO is a big favorite of mine. Only since the beginning of 2017 have I started sipping rum and drinking it alone or with just a few ice cubes. It's been incredibly interesting learning about so many different styles and flavors. If I had to pick a few brands I like best I'd say Mt.Gay, Doorly's, Don Q, and El Dorado. Remember if you're not having fun then you're not doing it right! 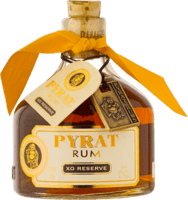 Enjoy this great link about rum! Smooth, easy drinker, nice aging. I finally came around and bought a bottle of this when I saw it for a good price in the classic blue box/bottle combo which has now been discontinued. Very sweet classic caramel oak flavor I just revisited this and at first sip- wow it's really good. After that it's just kinda a sweet mess of semi burnt caramel n oak w syrupy sugar body. In the beginning... Right there with Bacardi 8 this was a first love of mine. Good stuff, excellent to mix w oaky flavor. More of a mixer IMO Much oakier than Eclipse and nice vanilla flavor. It's got too much burn for my liking compared to the Doorly's line up, but makes a good mixer. A definite step up from Bacardi Better than Bacardi superior. Noticeably smoother and easier to drink. Pretty solid young rum. Didn't like it Got to try a little at a liquor store before buying a full bottle...didn't buy the bottle afterwards. Smooth but tastes orangey and cough syrup like.